Spread across the United States, but especially in the Midwest, are several towns and cities bearing Middle Eastern, if not explicitly Islamic names: Mecca, Mahomet, Morocco, Cairo. Various imaginative people had not failed to compare the Mississippi with the Nile. Analogies were obvious enough. Both were great and muddy rivers, given to inundations, highways for travel. The hope was also expressed that a new and greater civilization, surpassing even that of ancient Egypt, might soon develop along this “Nile of America.” Such analogies and hopes soon suggested the transplanting of Egyptian names. 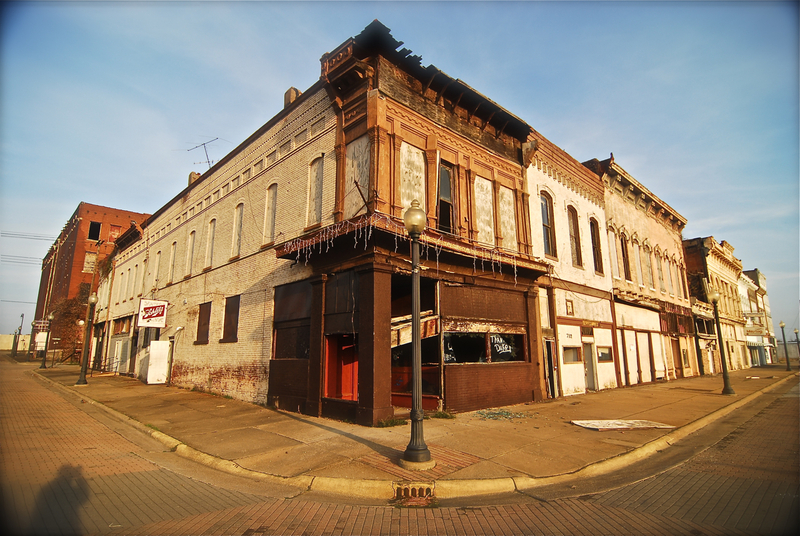 In 1818 a St. Louis merchant laid out a town at the junction of the Ohio and the Mississippi, and incorporated it as Cairo. The site was unhealthy and bad luck dogged the town. 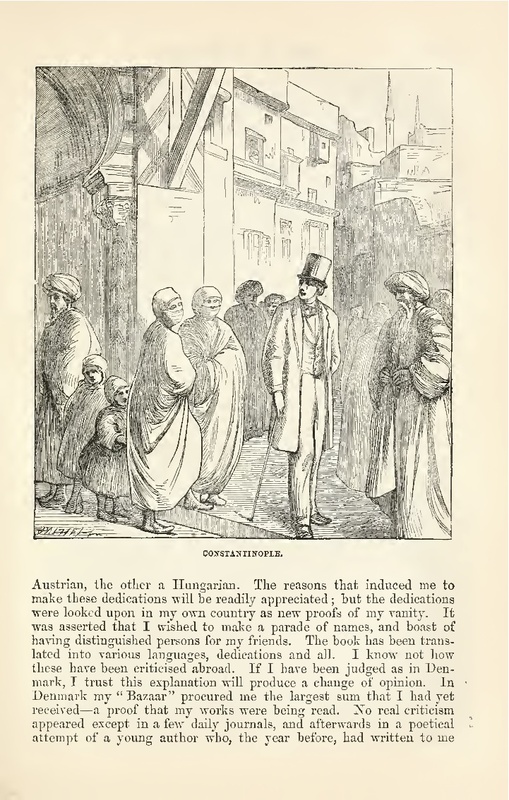 Charles Dickens in Martin Chuzzlewit pilloried it as the City of Eden. It never rivaled its prototype, but the influence of its name was great. Because of Cairo (pronounced Kay-ro) all Southern Illinois came to be known as the Land of Egypt, or merely Egypt, and its inhabitants are Egyptians even to this day. Nathaniel Deutsch more recently has addressed others of these names in his study of the “Tribe of Ishmael” in America. 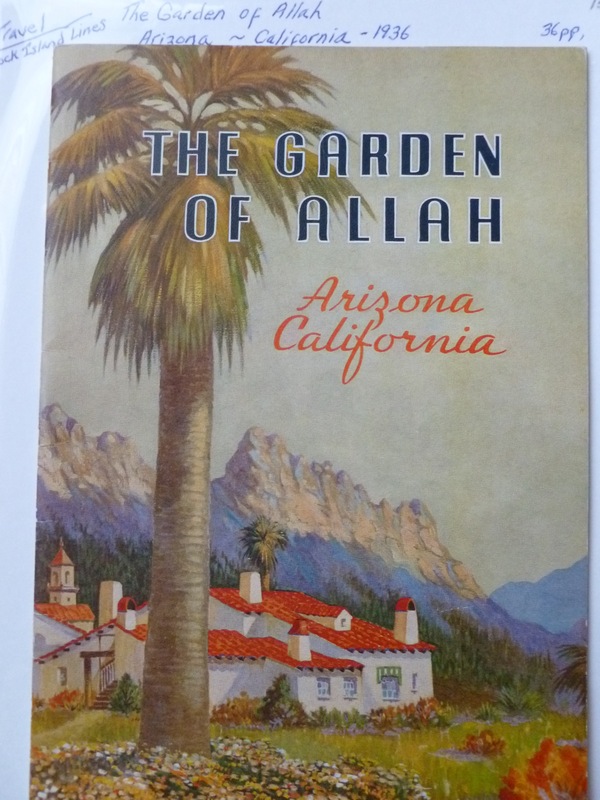 In one section, where he critically analyzes the “Islamic hypothesis” of Hugo Leaming (see the book for further details), Deutsch discusses Mahomet, Illinois and the towns of Morocco and Mecca in Indiana. Local legends concerning the origins of Mahomet, Illinois and Morocco and Mecca, Indiana, reveal no links to the Tribe of Ishmael. In the case of Mecca, however, they do suggest a possible connection to Islam. According to one local story, in the 1890s a tile plant was built in the vicinity of the town, “and they needed cheap workers, so they sent over to the Near East and got these Moslems… When they got paid, they’d come to town and say it was almost like coming to Mecca, and so they called the town Mecca.” Another local tradition traced the genesis of the towns name to the 1880s, when Arab workers from the Middle East were supposedly brought in to train Arabian horses. Even though the names of Midwestern towns like Mahomet, Morocco, and Mecca do not teach us anything about the Ishmaelites, they do teach us something important about the presence of Islam in Middle America. Such names should be seen as part of the broader flowering of romantic Orientalism in America’s heartland during the second half of the nineteenth century. Residents of towns like Morocco and Mecca were attracted to these names for the same reason that they joined the Ancient Order of the Nobles of the Mystic Shrine, visited the simulated streets of Cairo at the Chicago’s world’s fair of 1893, and smoked cigarette brands called Camel, Mecca, and Medina. As formerly rugged places like Indiana and Illinois ceased to mark the American frontier, residents began to turn their gaze from the Middle West to the Middle East in search of a new frontier-one to be imagined and consumed rather than physically settled. George R. Stewart. 2008. Names on the Land: A Historical Account of Place-Naming in the United States. New York: New York Review Books. Nathaniel Deutsch. 2009. Inventing America’s “Worst” Family: Eugenics, Islam, and the Fall and Rise of the Tribe of Ishmael. Berkeley: University of California Press. In Richmond, Virginia there is “the Mosque” where for decades American music legends have played packed and rapt audiences. But it is “the Mosque” in name only and, in fact, it is no longer officially called that. Today it is known as the Landmark Theater, located in Monroe Park next to the campus of Virginia Commonwealth University. It began as a Shriner Temple, hence its original romanticized appellation of the Mosque. And much like the previously covered Mecca Temple in NYC, it too bears a distinctive Moorish Revival architectural style; domes, minarets, and arabesque motifs adorn the edifice. 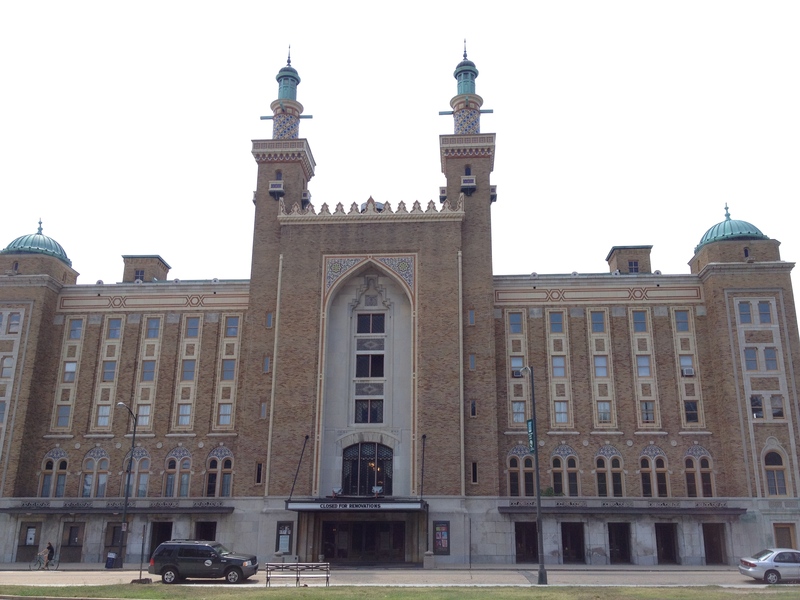 For its many years of service the Mosque was a prime venue for touring performers and has hosted such artists as Frank Sinatra, Elvis Presley, Jimi Hendrix, Duke Ellington, and Bruce Springsteen. In fact Sinatra, near the end of his life and career, suffered a fall on stage while at the Mosque (more information on all these performances can be found here). 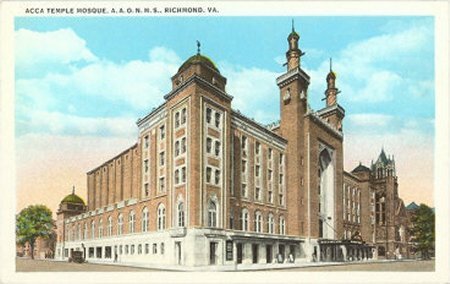 At present the Mosque/Landmark Theater is closed, but according to a recent article (John Reid Blackwell, Richmond Times-Dispatch, 12 July 2012) the space is currently undergoing major renovations and is slated to reopen as the Altria Theater in October 2013. The name change to Altria is due to the sponsorship of Altria Group, Inc. (formerly Philip Morris Companies, Inc., the parent company of the Virginia tobacco company Philip Morris). 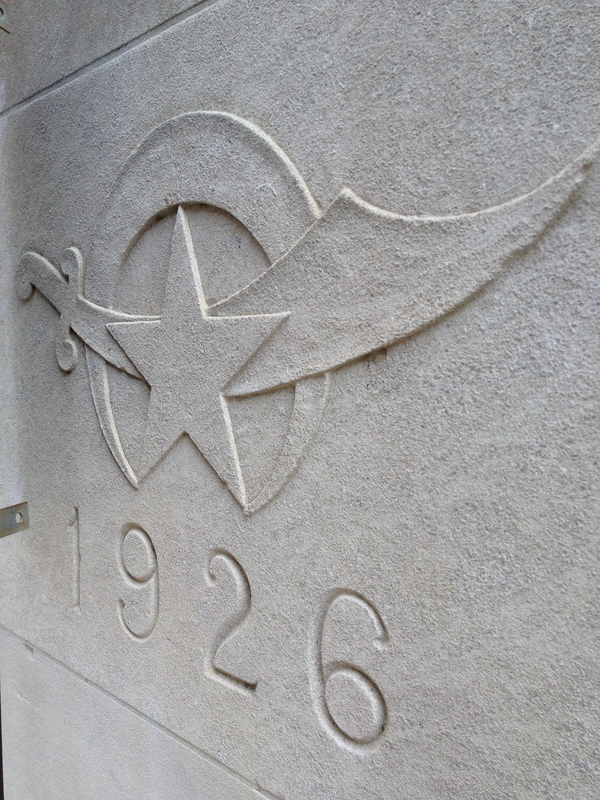 Notably, the building does not appear to have a plaque or sign designating it as a historic landmark. Perhaps this was an oversight on our part. In any case, let us hope the renovations do not dramatically change the distinctive designs adorning the building’s interior and exterior. More images of The Mosque can be found over on the appropriate gallery page. 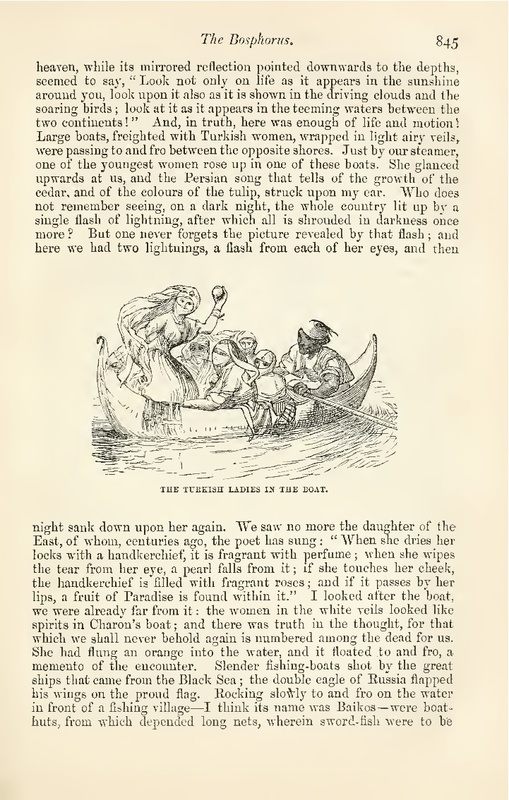 The Danish writer Hans Christian Andersen (1805-1875), famous for his stories and fairy tales, also captured his journeys abroad in a number of travelogues. The lengthy excerpt reproduced here recounts a visit to Istanbul (Constantinople) on the occasion of the birthday celebration, or Mawlid, for the Prophet Muhammad. He also recounts the public procession of the Sultan and his entourage from the Serail (meaning Topkapı Saray or Palace). The account gives yet another interesting outsider perspective on Ottoman life and society. THE fourth of April is the birthday of the Prophet. Already on the eve of that day the celebration began; and to say the truth, the performance on the eve was the prettiest part of the festivity. I considered it unfortunate that the night happened to be moonlight, and that the Osmanli police regulations demanded that every one who went out after sundown should carry a light in a lantern; but I was obliged to submit, for the police regulation could not be altered, nor could the moonlight. A young Russian named Aderhas and I associated ourselves together, and, without a companion, but duly provided with a light in a great paper lantern, we sallied forth to behold the illumination in honour of the Prophet. “We went through a narrow street of Pera, and before us lay a scene of fantastic beauty, such as we can only see in the North in a wondrous dream. From the row of houses near which we stood down towards the bay extended a churchyard, that is to say, a cypress grove, with thick dark trees ; and dark night rested upon it. Over rough hills, downwards among the tall trees, winds the path which the footsteps of men and the hoofs of horses have worn, sometimes among the tombs, sometimes among fallen grave-stones. Here and there a blue lantern was seen moving to and fro, which soon disappeared, to reappear shortly upon the black background of the picture. In the churchyard a few lonely houses lie scattered, and the lights glimmered from the upper windows, or were carried to and fro upon the balconies. Beyond the cypress-tops shone, blue as a Damascene blade, the Gulf with its many ships. Two of these, the largest, were richly ornamented with burning lamps, which glittered around the portholes, the masts, and the guns also, or were hung in the rigging, which shone like a spangled net. Just before us lay the town itself, the great far-spreading Constantinople, with its countless minarets all wreathed with garlands of lamps. The air was still red with the sheen of the setting sun, but so clear and transparent that the mountains of Asia, and Olympus, covered with perpetual snow, showed their sharp broken outlines like a silver-white cloud behind the glorious city. The moonlight did not deaden the splendour of the lamps, but only brought out the minarets in relief, till they looked like gigantic flower-stalks crowned with blossoms of flame. The smaller minarets had one starry wreath, the larger two, and the largest of all three, one over the other. Not a human being was to be seen in our neighbourhood, all was lonely and still. We wandered down among the cypresses; a nightingale was raising its flute-like voice, and turtle-doves cooed among the shadows of the trees. “We came past a little sentry-house, built of planks, and painted red; a little fire had been kindled in front of it, among the gravestones, and soldiers were reclining around it. They were dressed in European garb; but their complexion and features proclaimed them of Ishmael’s race, children of the desert. With long pipes in their mouths, they lay and listened to a story. This story was about Mahomet’s birth. This was the story the nightingale translated for us, for the nightingale understands Turkish just as well as our own language. We went forth beneath the tower of Pera, out to the convent of the dancing dervishes, and a beauteous panorama met our view. The whole Sea of Marmora lay before us, lighted up by the rays of the moon, and in the mid-distance Scutari [Üsküdar] stood forth, its minarets gleaming with many lamps like those of Constantinople. The Mosque of St. Sophia with its four, and the Mosque of Ahmed with its six minarets, stood forth in especial splendour, each pinnacle crowned with a double or a triple garland of glittering stars. They seemed to surround the garden of the Serail, which stretched down towards the Bosphorus, dark as a starless night. No light shone in the palace of the sultanas near the shore; but there where the Golden Horn ends, a sword of flame had been reared, that threw a ruddy glow over the waters. Innumerable little boats, gaily decked out with red, green, or blue paper lanterns, darted like fireflies between the shores of the two continents. All the great line-of-battle ships blazed with lamps; every ship, nay, every rope and spar, could be clearly seen, the outlines drawn in fiery colours. Scutari and Stamboul seemed united by the gleaming water with its rows of shining sparks. It was a fairy city, a city of the fancy, with a magic haze poured forth over it; and only two points were covered by mysterious darkness: in Asia the great churchyard behind Scutari; in Europe, the garden of the Serail. Night and dreams lay brooding over both spots the dead heroes are dreaming of the maidens of Paradise, and in the night of the Serail the dreams are those of earthly beauties, charming and fair as the houris of Paradise. The streets of Pera were filled with a throng of Greeks, Jews, and Franks, each carrying his lantern or his candle. It was an Oriental procession of Moccoli; but the costumes were far more correct, more rich and varied, than those in the Corso of Rome on the last evening of the Carnival. In front of the palaces of the foreign ministers lamps were burning, erected in the form of pyramids, or in a great M, the initial letter of the Prophet’s name. At nine o’clock cannon were fired from all the ships; there was a thundering din, like that of a sea-fight; all the windows shook; shot after shot boomed forth, announcing the hour at which the Prophet was born. I fell asleep amid the thunder of the cannon, and was awaked early by the same sound. Merry music of Rossini and Donizetti sounded through the streets: the troops were marching on, to be paraded between the Serail and the Mosque of Ahmed, whither the Sultan was about to proceed in state. The Danish Consul, Romain, an Italian, came to fetch me. A young Turk, with pistols in his girdle and two long tobacco-pipes an his hand, walked before us; an old Armenian, in a dark blue fluttering caftan, and a black jar-shaped hat on his shaven head, came after us, carrying our cloaks; and thus we strolled through the main street of Pera, down towards Galata. The servants stepped into a boat, we two embarked in another, and now we rowed across the Gulf, darting swiftly among hundreds of others, whose rowers shouted and howled at each other, as one or other of the boats ran the risk of being swamped. At the landing-place in Constantinople the mass of gondolas formed a huge swaying bridge, across which we had to skip, to reach the firm land, which is bordered by decayed planks and beams. The crowd was great, but soon we came to a broad side street. Here were many people, but there was room enough. Great crowds of veiled women wended along the same way with us, and soon we had arrived under the walls of the Serail, which are very high towards the town, and look like the walls of an old fortress. Here and there is a tower, with a little door, which looks as if it had never been opened; the hinges were covered with grass and climbing plants. Great old trees stretched their leafy branches across the old walls; one could fancy one’s self on the borders of the forest in which sleeps the enchanted Princess. We chose our position in front of the Mosque of St. Sophia, between the great fountain and the entrance to the Serail. From this point the Mosque of St. Sophia, with its numerous cupolas and subsidiary buildings, has a whimsical resemblance to a great flower-bulb to which several smaller bulbs have attached themselves. The terraces in the foreground were thronged with Turkish women and children, and the shining white veils worn by the former gave the scene quite a festive air. The fountain behind us is the largest and most beautiful in Constantinople. With the name “fountain” we usually associate the idea of a basin with a jet of water plashing up from it; but in Turkey fountains have a very different appearance; and a more correct idea of their appearance will be obtained by imagining a square house, whose walls are quite Pompeian in their variegated richness of colour: the white groundwork is painted with inscriptions from the Koran in red, blue, and gilt letters; and from little niches, to which brazen basins are fastened, the consecrated water ripples forth, with which the Mussulman bathes his hands and face at certain hours of the day. The roof is painted and gilt with quite a Chinese richness of colour. The dove, the sacred bird of the Turks, builds its nest here: in hundreds they flew over our heads, to and fro between the fountain and the Mosque of St. Sophia. All around were a number of Turkish coffee-houses, all built of wood, with balconies, almost like the Swiss houses in appearance, but more gaudy and less solid: before each there stretched a little plantation of trees; and all these plantations were occupied by smoking and coffee-drinking Turks, who quite lit up the gardens and the fronts of the houses with their bright-coloured caftans: some of them wore turbans, others fez caps. Between the fountain and the great gate leading into the forecourt of the Serail, two long scaffolds had been erected of boards placed on tubs and tables. The second of these was higher than the first, and on the lower one veiled Turkish women of the lowest class were reclining. Old Turks, Persians, and a few Frankish strangers, whose unveiled women were objects of universal attention, held their station on the upper platform. Now appeared several regiments of Turkish soldiers, all dressed in European fashion, in tight trousers and close jackets, white cross-belts across their chests, and red fez caps on their heads. The guards made a very good appearance in their new uniforms, with tight stock and collars; and, as I was told, they wore gloves to-day for the first time. Some of the other regiments seemed in most lamentable plight: not only were the men of all possible complexions, white, brown, and coal-black soldiers all mingled together, but some of them were lame, and others had club feet. Their European uniforms were too tight for them, consequently the majority had ripped up the seam of the sleeves at the elbow, and many had cut their trousers at the knee, that they might move their legs with greater freedom; consequently naked elbows were seen protruding all along the line, and during the march many a red, brown, or black knee protruded from the blue trouser. Especially remarkable was one regiment, which I might almost call the “barefoot warriors,” for some of them had only one boot and one shoe, while others shuffled along with bare feet thrust into slippers of different colours. Amid a din of military music, they all marched into the courtyard of the Serail, and, after defiling before the Sultan, came back and drew up in line along both sides of the way: Ethiopians and Bulgarians stood side by side, and the Bedouin became the neighbour of the shepherd’s son from the Balkan. At ten o’clock the procession was to begin; but it was nearly twelve before the Sultan thought fit to leave the Serail. The sun shone warm as in summer; cup after cup of coffee was quaffed, and once or twice the lower platform gave way, and all the Turkish women tumbled down in a heap. It was a long time to wait. Until within a few years, it was the custom to bring out to this spot the heads of those who had been decapitated in the courtyard of the Serail, and to throw them to the dogs; but everything looked peaceable enough now. Young Turks who could speak a little French or Italian began a conversation with us and with other Franks, and showed the greatest willingness to explain to us whatever they thought might excite our interest. Below us, in front of the walls of the Serail, lay spread the Sea of Marmora, enlivened with many a sail, and glittering in the sunshine; and high up, in the background, the snow-covered mountain-peaks of Asia glowed in the clear blue-green sky. I had never before seen this grassy glimmer in the air. A young Turk, who told me he had been born on the banks of the Euphrates, assured me that yonder the sky sometimes showed rather green than blue. But now a cannon-shot resounded from the garden of the Serail: the procession was starting. First came a mounted military band, even the drummer and the man who played the cymbals were on horseback: the latter musician let the reins hang loose on the horse’s neck, while he clashed the brazen plates in the sunlight. Now came the Sultan’s guards, as soldierly a body of men as you would see in any Christian kingdom; then a number of splendid horses were led along, without riders, but all decked in gorgeous trappings, red, blue, and green, and all powdered with jewels. The horses danced along on their strong slender legs, tossing their heads and shaking their manes, while their red nostrils quivered like the leaf of the mimosa, and more than instinct seemed to flash from their bright eyes. Now came a mounted troop of young officers, all clad in the European costume, but wearing the fez cap; they were followed by civil and military officials, all clad in the same way; and now the Grand Vizier of the empire appeared, an old man, with a long beard of snowy whiteness. Bands of music had been posted at different points, and relieved each other at intervals. In general, pieces from Rossini’s “William Tell” were played, but suddenly they were broken off, and the strains of the young Sultan’s favourite march were heard. This march had been composed by the brother of Donizetti, who has been appointed band-master here. Now came the Sultan, preceded by a troop of Arabian horses still more gorgeously caparisoned than those who had gone before. Rubies and emeralds formed rosettes for the horses’ ears; the morocco leather bridles were covered with precious stones, and saddles and saddle-cloths were wrought with pearls and jewels. Arab horse the young “nineteen-year-old” Sultan Abdul Medjid. He wore a green coat buttoned across the chest, and wore no ornament, except one great jewel with which the bird of Paradise feather was fastened in his red fez cap. He looked very pale and thin, had melancholy features, and fixed his dark eyes firmly on the spectators, especially on the Franks. We took off our hats and bowed; the soldiers shouted out, “Long live the Emperor!” but he made not a gesture in acknowledgment of our salutes. With this we had to be content, for it was considered as good as the best acknowledgment. I told the Turk that all Frankish princes acknowledged the salutes of their subjects with uncovered heads, a statement which seemed quite incredible to him. Pachas and other grandees of the empire now came by; then Frankish officers in the Turkish employ; and then a number of servants, male and female Turks, closed the procession. Such a crowd, such a pushing to and fro! Half-naked street boys with dingy turbans, old beggar women with ragged veils, but with coloured trousers and morocco slippers, pushed noisily through the throng. Hans Christian Andersen. 1889. Stories for the Household. 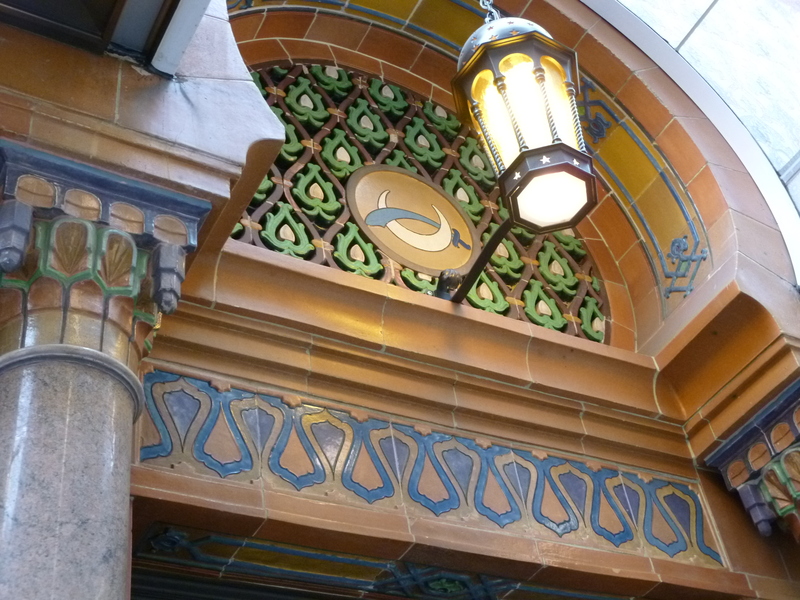 London: George Routledge and Sons. 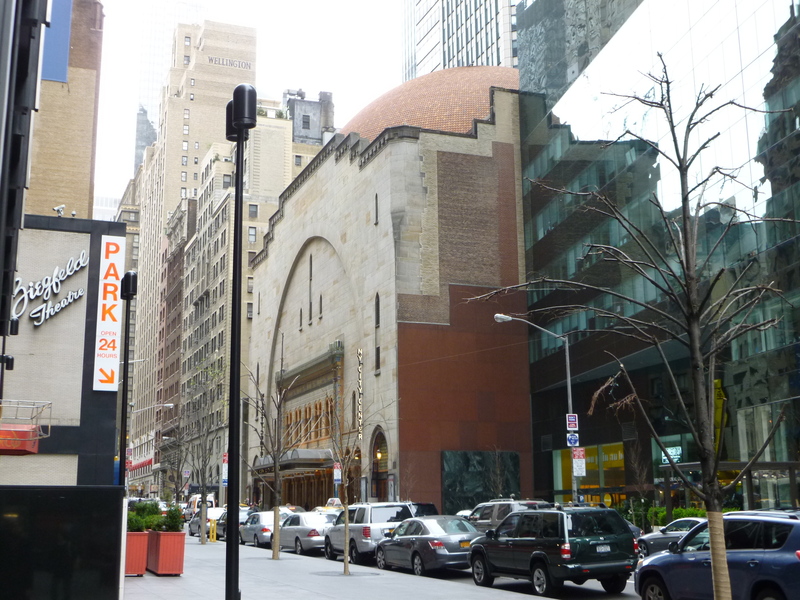 An imposing domed building called Mecca Temple lies on 55th Street between 6th and 7th Avenues in the very heart of Manhattan. Or at least it was once called that. Today the building is known as the New York City Center and is a theater with 2,750 seats. 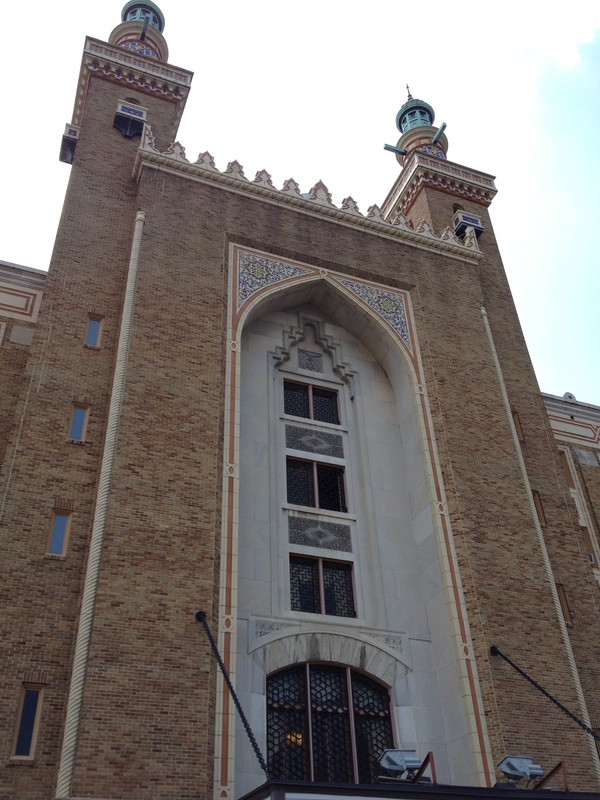 When it was first built in 1923, however, it was christened Mecca Temple and served as a meeting hall for its builders the Shriners, more bombastically known as the Ancient Arabic Order of the Nobles of the Mystic Shrine. And what a shrine Mecca Temple must have been for these noble gentlemen of New York with its immense green dome (now red tile) and its profuse Islamic and Arabesque motifs. Though the building is now hidden by its towering neighbors, it was once (see vintage postcard below) an imposing structure in its own right. The architecture style seen here is known as Moorish Revival and reflects a Western fascination with a mysterious/mystified orient, particularly with romanticized Ottoman and Andalusian elements. Such fanciful imaginings of course, extended beyond building design and is equally evident in the habit and customs of the Shriners themselves, their most notable piece of apparel being the red fez. More images of Mecca Temple can be found over on the appropriate gallery page. Of course, if you are ever in town I encourage you to see it for yourself. It’s worth a visit. Always in pursuit of a new opportunity to find unique items, Martin and I ventured to an ephemera fair. It is only recently that we’ve started to appreciate and understand the potential value of ephemera. Ephemera consists of everyday one-time use materials; printed objects that were never intended to have enduring historic value. This includes everything from pamphlets, brochures and postcards to posters, stock certificates and advertisements. For example the Library of Congress has a collection of restaurant menus. Though many of these materials may not hold much value on their own, when viewed in a series or as a collection they begin to illustrate a story, a window into social history. The perceptions, thoughts and ideas of people begin to gain clarity through the printed material that they created or read. A single postcard then is only a piece in a larger, elaborate, puzzle. Thus, in four words, may be told “The Winter’s Tale” that summarizes all the varied delights of Southwestern Resorts reached directly by the Golden State Route. Romance, color, exotic charm, historic interest, scenic grandeur, social vivacity, out-door sport, – all in the golden wash of a never-failing winter sun – at El Paso-Juarez, Tucson, Chandler, Phoenix, Litchfield, Indio, Palm Springs, San Diego, Coronado, La Jolla, Los Angeles, Santa Barbara! 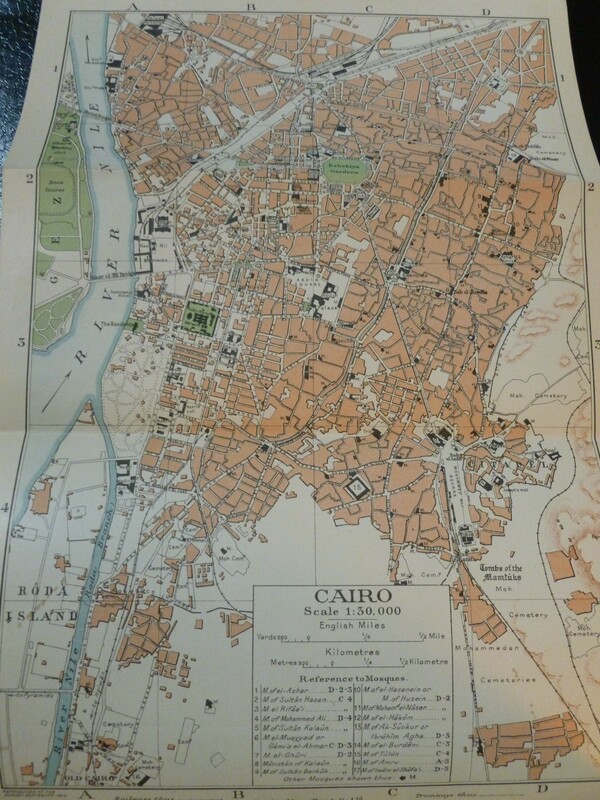 The fair, called Ephemera 32, was presented by the Ephemera Society of America in Old Greenwich, CT.
Cairo 1916: Where have all the dragomans gone? 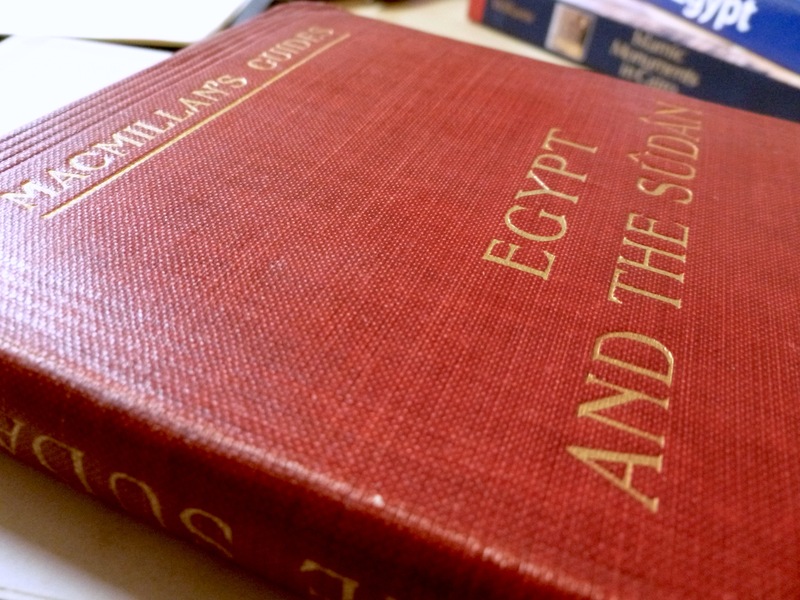 Being the historian that I am, I’ve forgone the latest Lonely Planet and instead turned to a book of a much finer vintage, a 1916 Guide to Egypt and the Sûdân* from the Macmillan’s Guides series. A couple of years ago Kiran and I picked up this slim, handsome volume from the Boston International Antiquarian Book Fair. If there was ever an underused source for historical information, old prejudices and past insights it is the modern day travel guide. They are the ugly cousins to the more refined and consciously-worded travelogues and historical tomes. What distinguishes travel guidebooks from their kin is that they are published on a regular basis, constantly “updated” with new and more correct information (or so they would have you believe), and contain pro forma a wealth of detail not guaranteed in travel writings and history books. And of course travel guides are as much a window into the world of their authors and intended audiences as they are to the far off places they intend to cover. If you ever chance upon an old travel guide, it is certainly worth a look. 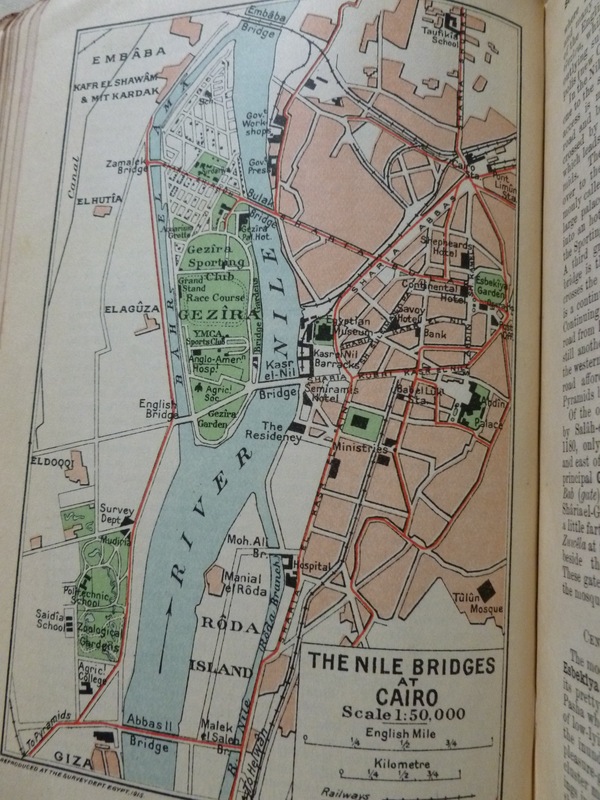 Guide to Egypt and the Sûdân including a Description of the Route through Uganda to Mombasa. 7th edn. Macmillan’s Guide series. St. Martin’s Street, London: Macmillan and Co., Limited., 1916. *According to the personal inscription at the beginning, this book once belonged to a Sophie Voorhees of Richmond Hill, Long Island, New York. Her handwritten notes indicate that she likely stayed at the National Hotel in 1924 and then the Shepheard’s Hotel in 1928. I’ve discovered quite a bit about Sophie Voorhees’s social life from the archived New York State newspapers at fultonhistory.com.